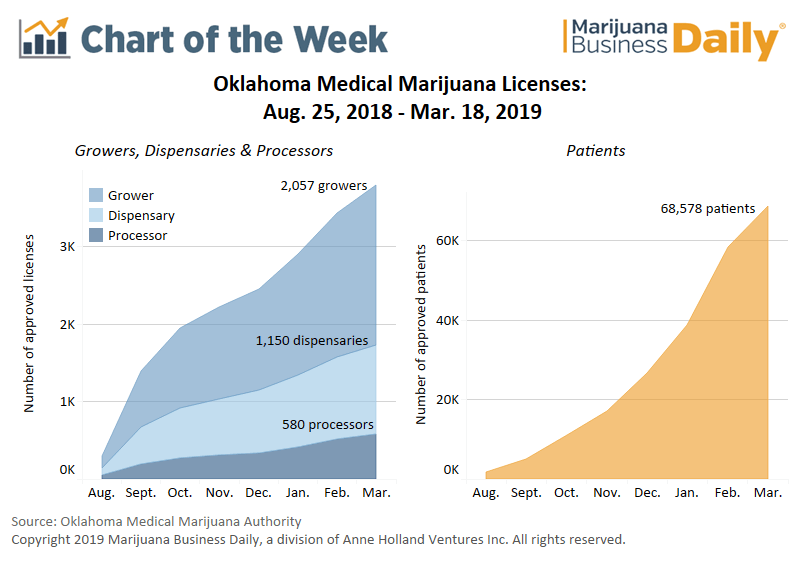 Nine months after Oklahoma voters approved one of the most business-friendly medical marijuana initiatives in the country, the number of licenses and patient approvals continue to rise at a feverish pace. Businesses have no license caps and a low application/license fee of $2,500. The fee is nonrefundable, however. Patients have no qualifying medical conditions to meet, just a recommendation from a physician. Patients also are allowed to grow their own marijuana. Efforts to constrain the program, such as by banning smokable marijuana or requiring a licensed pharmacist in each dispensary, were foiled by legal challenges and the state’s attorney general. Oklahoma is believed to be the only market in the United States where more grower licenses have been issued than dispensaries and processors combined. Bud Scott, executive director of the Oklahoma Cannabis Industry Association, estimates that less than one-third of the licensed entities are in or “anywhere near” operation. Oklahoma cannabis attorney Sarah Lee Parrish estimated a higher number, as much as 50%. Sales hit $7.2 million in February, the industry’s third full month, up from $4.3 million in January and $1 million in December. 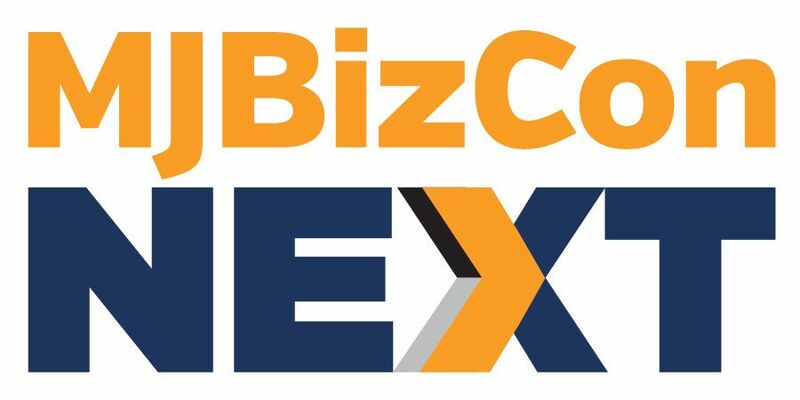 Although Oklahomans hoped the industry would offer opportunities for mom-and-pop operations, the competitive landscape is expected to favor well-funded enterprises and wealthy individuals, particularly in the most lucrative markets. To encourage locals, entities must show that at least 75% ownership is held by an Oklahoma resident. A bipartisan measure known as the “unity bill” was signed into law recently that sets up rules for inventory and sales tracking, packaging and labeling and product testing. The bill isn’t intended to curb the market’s growth but will require MMJ businesses to adhere to what are becoming top industry standards. Well, you better be able to produce at an extremely low CPP/CPG come 2020 or your license might not be worth the paper it was printed on. Cultivators per capita is tremendous. OK’s model won’t provide the mega-exit valuations that are driving so many people to reach out to for (legal) help in CA, but for those states looking to give families, especially those of color, the chance to build a small or mid-sized cannabis businesses, an open market like this is requirement. It will be tough, but at least they have a chance. Go in with your eyes open, make calculated bets and get help from experts.